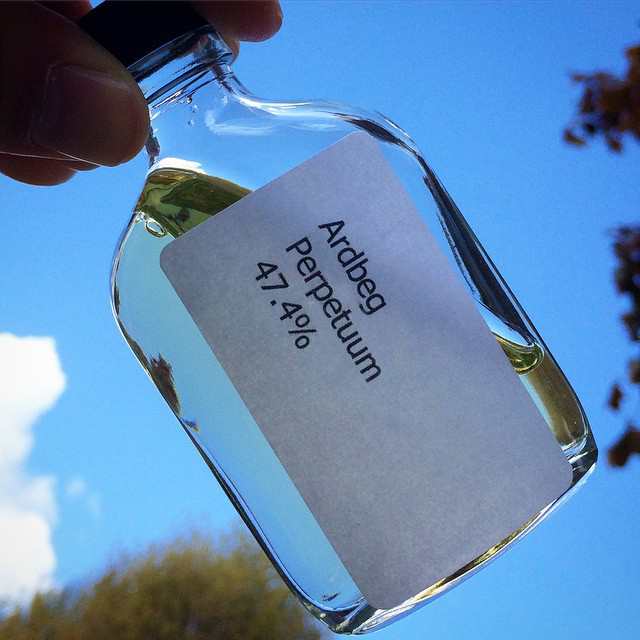 Info: Ardbeg’s Feis Ile release for 2015. No-age-statement release made up of “very old and very young” Ardbeg whiskies aged in both Bourbon and Sherry casks. Colour: Light summer straw. A very natural colour, good to see. Nose: Peaty, buttery malt. There’s peat and smoke, but the smoke is held back a wee bit. The malt isn’t that new make malt you sometimes get in a young spirit, but the sort of raw malt smell you get when you’re visiting a distillery, it’s great stuff, very evocative, but dissipates with time. There’s enough alcohol to tickle your nose nicely. Behind it all is some of the older malt that’s in the blend which gives it a little ripe tropical banana smell. Very gentle back notes of oak. 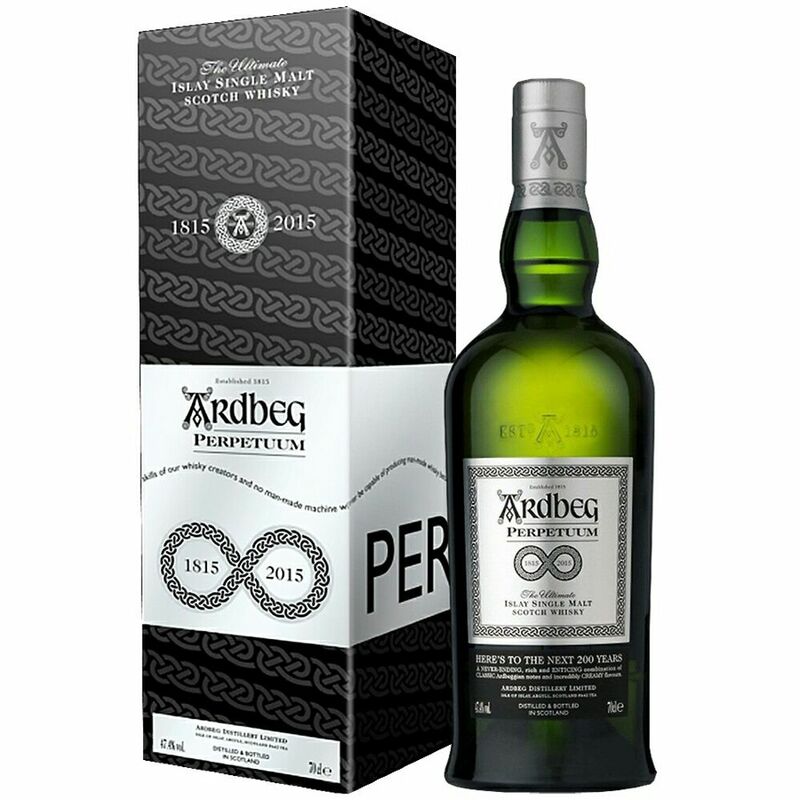 Palate: It’s very easy on the palate, smooth and sweet, gently peaty with earthy mosses coming forward and then some spices starting to slowly build before giving way to more regular Ardbeg coastalness and some slight sweet BBQ notes. There’s loads of creamy thickness to it. It’s a malt to hold on your tongue for agggges, nice and oily. Finish: It’s smooth and long, slowly warming, a warmth that keeps going. Coastal notes stay around for a long time with just a touch of oak tannin at the end. Thoughts: It’s Ardbeg, but not as you may know it if you stick to the 10yo or some of the other big hitters. For me, I love it, I love how easy going it is, it’s got a sweetness and an easiness to it which keeps me wanting go to back for more and more. In my mind it’s more accessible than a few of the previous Feis Ile releases. Available: 30 May for a two week exclusive period at “Ardbeg Embassies”. RRP of £84.99. Extra: I mention that this is the main release and not the distillery release. For those that don’t know that means this is the main release for the shops etc, but there is also a “committee” (i.e. club) / distillery only release, which has a slightly different label and a slightly higher ABV. There’s been no comment as far as I’m aware to if the vatting/blend is the same or different, I’d imagine the same, but more of a cask strength. Thanks to Ardbeg for the sample. This entry was posted in Review, Whisky and tagged Ardbeg. Bookmark the permalink.